I am a bona fide news hound. 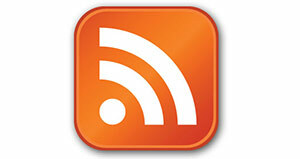 Every day I pour over hundreds of RSS feeds in NetNewsWire for Mac, synced to Google Reader. Alternatively I choose to go straight to the browser form of Google Reader, pure and simple. When I’m in Windowsville however, I rely on a different desktop aggregator to feed my hunger for news. I’ve rounded up five free news clients for Windows, for those of you that live on the desktop rather than the cloud. Let’s dig in. 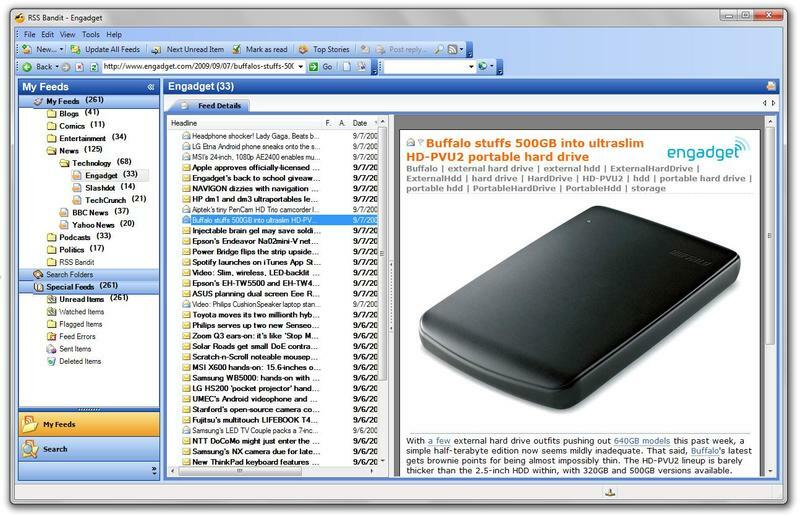 This application began its life as a pay-for app developed by Bradbury software that was later acquired by NewsGator.com, who in turn made it widely available for free. Those crazy fools! How do they keep the lights on? While always a useful app, FeedDemon was made infinitely more so by a recent change in NewsGator’s business model. 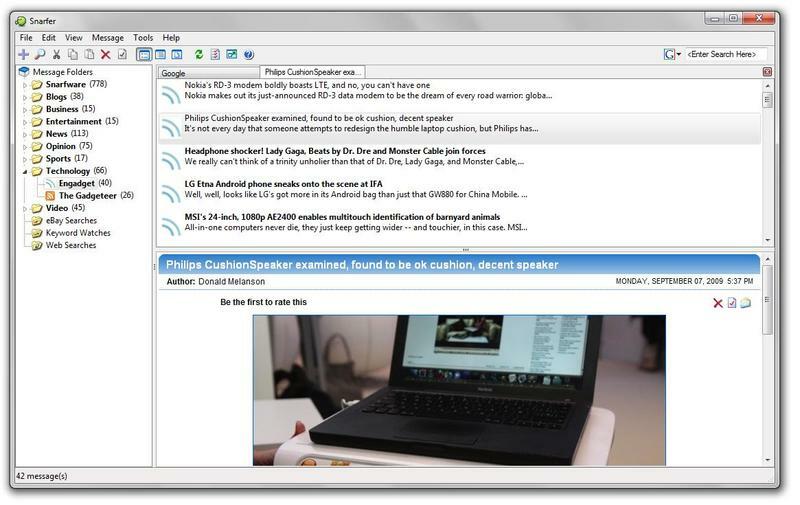 Until now the application was paired (or hindered if you will) to a NewsGator Online account – a free personalized RSS subscription service which competed with Google Reader. However NewsGator couldn’t keep up with Google and chose to live up to that age old adage “If you can’t beat em, join em!” by shutting down its own online subscription service and enabling FeedDemon to sync with Google Reader instead. WIN! My only complaint with FeedDemon is its clunky UI, which is woefully long in the tooth in an age of Aero glass. Sigh. Syncs with Google Reader Syncs with GOOGLE FREAKING READER! 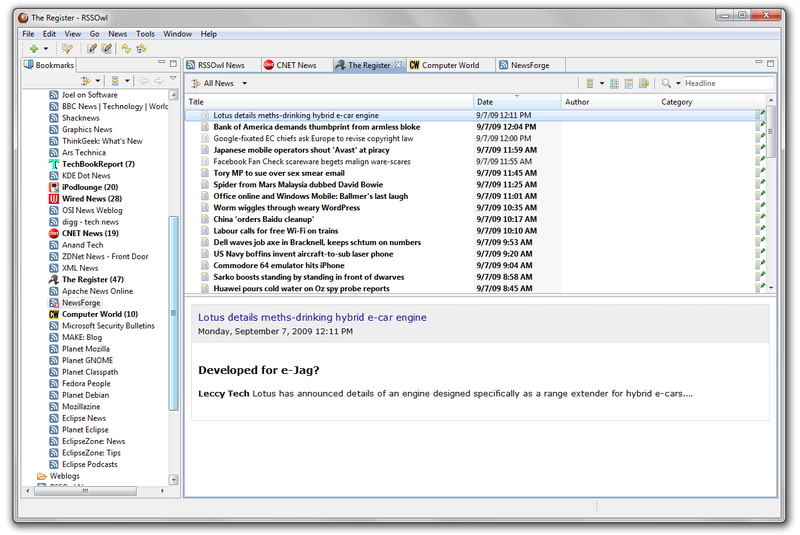 RSS Owl is an oddly designed open source application written in Java. Think Thunderbird of RSS Readers. Like all such applications this gives it the appearance of something that is not quite from Mars, not quite from Venus, and definitely not from around here. For starters, it comes with no installer setup. Nope, none whatsoever. You “install” this app by unpacking a zip file containing all the bits and pieces that make it function into a folder which you then drag over to your Start menu. Simple to do, yet incredibly primitive. Once launched, RSS Owl is very easy to setup and import your feeds, though it lacks on online component for synchronizing with Google Reader. The interface is very sparse, which is both blessing and curse, but mostly the former. If you want a quick and dirty desktop feed reader this one is highly recommended. If you want something more polished, stick with FeedDemon. I’m not sure which hallucinogenic drug the developer of this software was under at the time he named his creation, but whatever it was is best avoided. Snarfer (I barely even knew her) is, much like RSS Owl, very basic in its design and layout. The interface is something right out of a bygone (more like BEGONE) era of Win32 software when XP was still ruled the world. 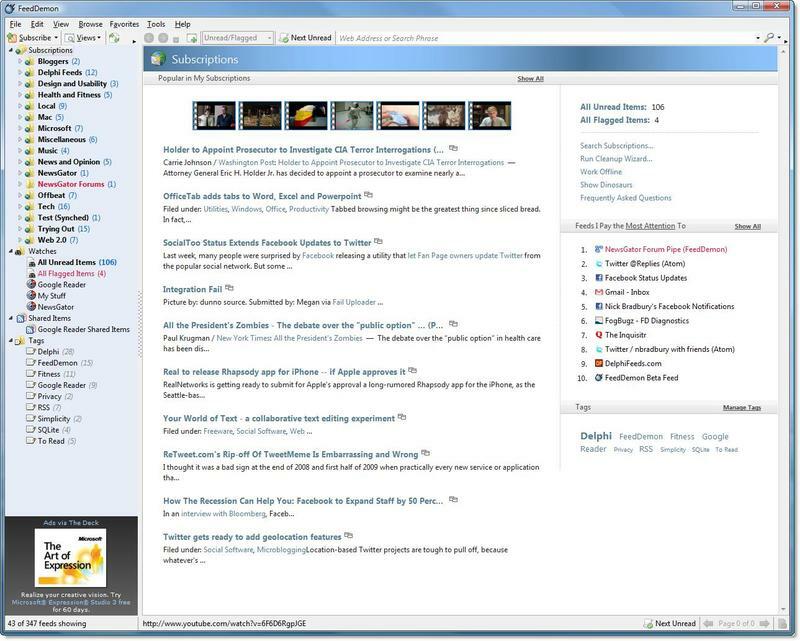 If an RSS reader humped the leg of Internet Explorer 6, this is what its offspring would look like. But, it’s free so you get what you pay for I guess. Who names these applications? If you can get past its hideously gaudy Office 2003 interface, RSS Bandit is actually a very functional, if homely, desktop reader. You get most of the same advanced feature set found in FeedDemon, including the ability to sync with Google Reader. However, much like FeedDemon it looks as though it were beaten with the ugly compiler. Noticing a pattern here? Cons: MY EYES! Don’t look at its face! We really need to get these developers in one room. Snackr, Snarfer… sheesh! Unlike the aforementioned desktop readers, SnackR is an Adobe AIR app which takes a decidedly different approach. Instead of displaying your feeds in a central application interface, Snackr resides at the bottom of your screen in the form of a scrolling ticker displaying RSS updates in real-time. Think of it as more of a companion to the above readers rather than a replacement, but it is incredibly useful for grabbing the latest headlines while you work on more important tasks. It doesn’t sync with Google Reader, however, but can import OPML files. Doesn’t sync with Google Reader Anyone here a fan of AIR apps? You in the back. These desktop readers are by no means the only available and merely represent the better end of the market, for Windows that is. If you have a favorite not on this list, or have a suggestion of your own, feel free to comment.